He was born in 1957 in the village of Rusinovo, Berovo, Macedonia. Education: Bachelor of Music Theory (1984, University `Sts. Cyril and Methodius`). The band Ljubojna, which most authentically conveys the pulse of the Macedonian traditional sound, has not only founded its work on its descending to the source but deeply immerses into what we call a contemporary sound. They are the heralds of the Macedonian music of the 21st century. An elegant music with rough rhythmic beat they play with all its passion and vigor. 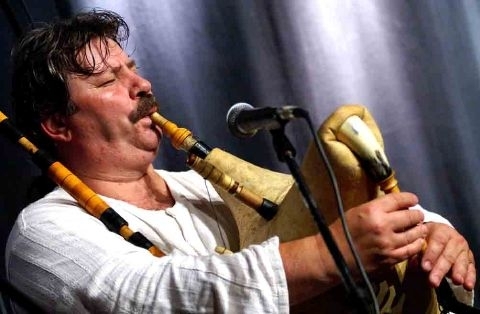 It blends different styles of music founded on the Macedonian music essence. Pronounced as a universal musical language, it has anthropological and cosmopolitan code deep inside. 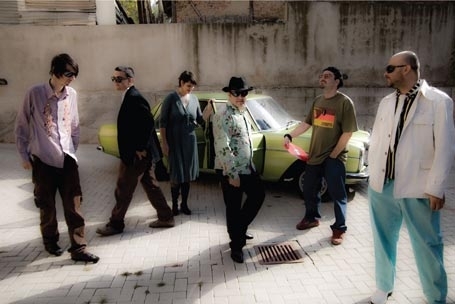 Synthesis is a band, established in 1995, for the purpose of carrying out an in-depth pursuit of the outstanding folk music treasures of Macedonia. The name Synthesis was chosen to express the concept of the group. The combination of traditional sounds with contemporary arrangements creates a musical synthesis. Digging deeply into the roots of Macedonian folk heritage, with a serious concern for the basics of traditional compositions, the group has received high praise for breathing new life in this milieu. 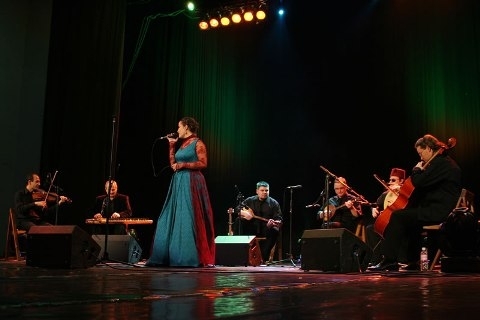 Baklava is a musical group with a minimalist musical concept: the sound is made by only one female vocal and two string and percussion instruments – the tambura and the bendir. The third major challenge is the musicianship: simplicity and unpretentiousness.